KISHO works by converting chemicals into nano-particles which fill the microscopic pores and cavities of the car’s surface, leaving no air pockets and sealing in the paint for a perfect, durable coating. It’s like laminating a vehicle in glass! 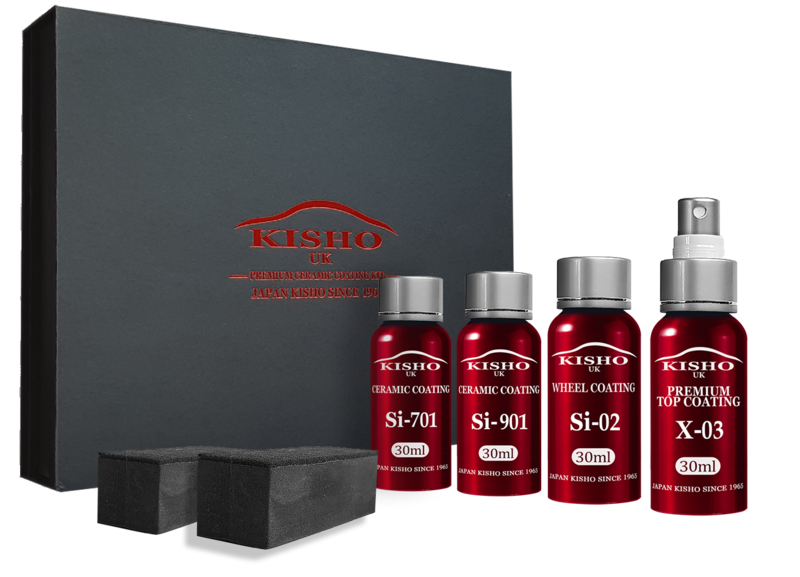 Each KISHO application pack contains all the coatings you need to fully treat your vehicle. Unlike other coatings, you only need a few drops applied to each area of the body to achieve unparalleled protection. KISHO makes cleaning your car easy. Our PH Neutral aftercare products keep your coating topped up and your car protected. We offer a range of gift bags and sample packs to enjoy after the KISHO application process is complete. 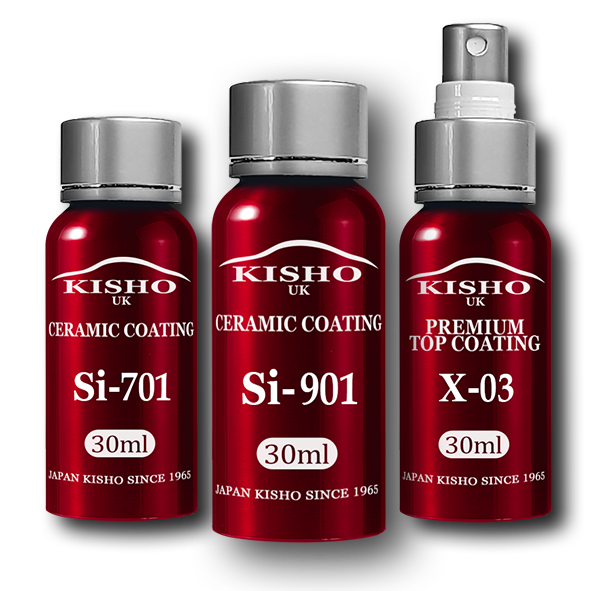 To learn more about offering your customers the amazing benefits of KISHO ceramic coatings, please get in touch. Join our mailing list for exclusive deals, discounts and new product information. Don’t worry, we’ll never share your details. Every KISHO Premium Ceramic Coating system offers up 60 MONTHS of next-level exterior protection for vehicles. 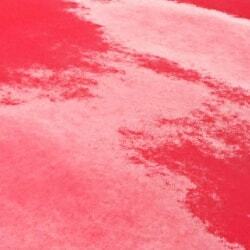 KISHO Premium Ceramic Coatings are applied in stages directly to your vehicle’s painted finish. 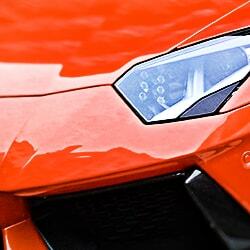 The results are damage resistant, ultra-glossy ceramic surfaces that keep your paintwork protected for years. Read more about the features below. 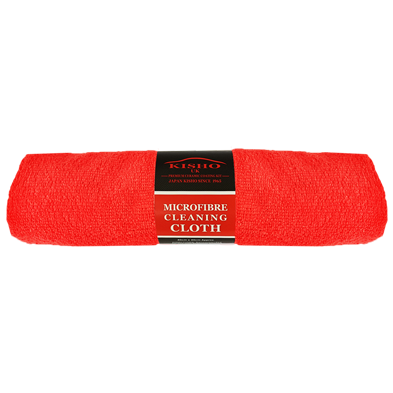 KISHO nano coating creates thousands of microscopic ceramic layers to protect the vehicle exterior. If scratched, only a few of these layers are removed, leaving the car undamaged. Rub the area with a finger or cloth and the nano-coating rights itself to a perfectly smooth finish again! KISHO ceramic coating kits completely seal in vehicle paintwork and prevent oxidisation. The molecules of the coating fill every microscopic gap in the paint and protect it. 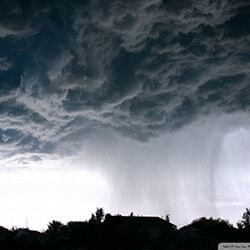 Damage from oxygen in the atmosphere is effectively reduced to zero during the coating’s lifetime. The nano glass coating adds beautiful depth to existing car paintwork, enhancing the colour and lines of the vehicle. The glassy finish keeps KISHO-treated cars looking showroom ready for up to 5 Years per treatment. The ceramic car coating protects vehicle paintwork from acid rain, UV and sun damage, weather erosion, city pollution, tree gum and bird dropping. 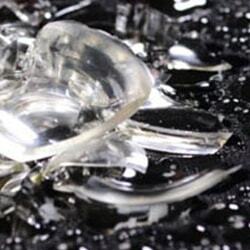 KISHO glass coatings provide an all-round lasting protection system for your vehicle. KISHO Ceramic coatings are severely hydrophobic, making keeping the vehicle clean extremely easy. The glass-like finish of the nano coating makes it extremely difficult for water to adhere to the vehicle’s surface. This means that dirty water, mud and grime slides right off the paint surface. When it does need cleaning, warm water will rinse off any road traffic film and dirt build up, leaving the spectacular glossy finish below. 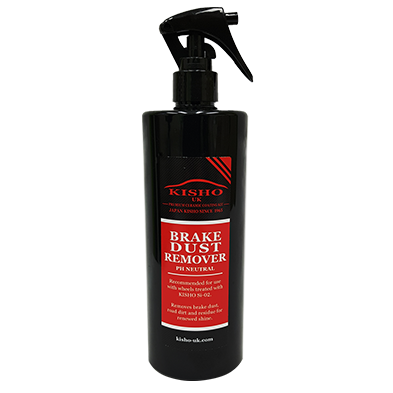 KISHO works by converting chemicals into nano-particles which fill the microscopic pores and cavities of the car’s surface, leaving no air pockets and sealing in the paint for a perfect, durable coating. It’s like laminating a vehicle in glass! 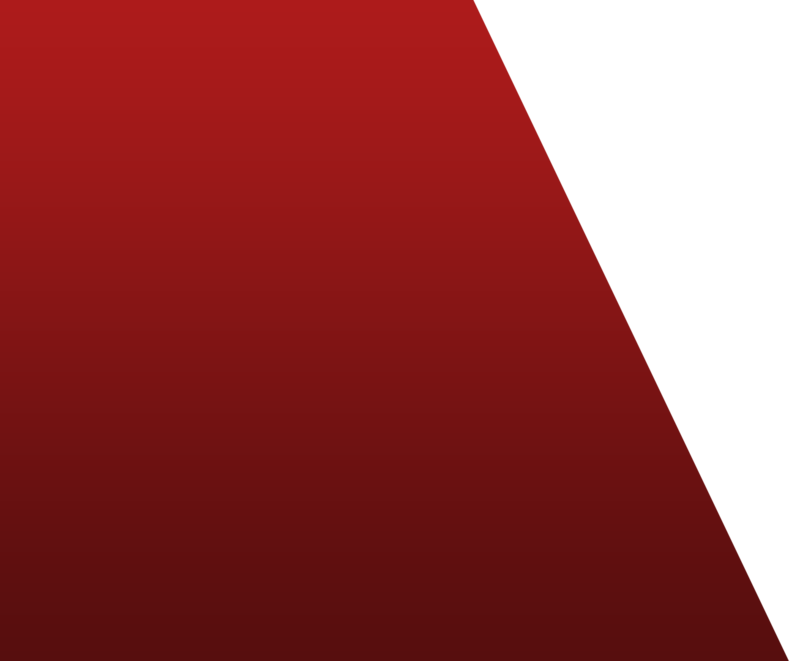 Are you interested in becoming a KISHO partner? Contact us for details about ordering these products for your studio and customers. 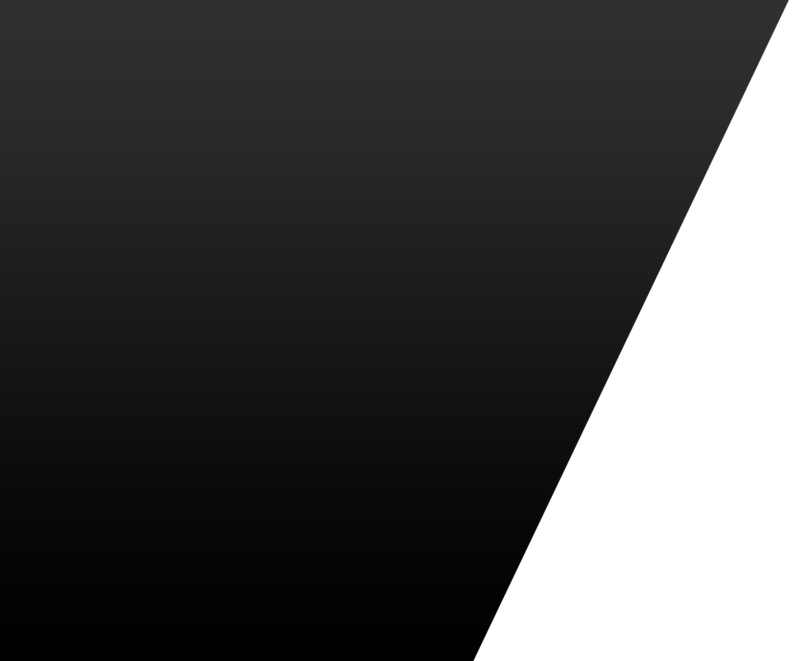 We only work with reputable detailing companies and offer support and technical advice. Each KISHO set is uniquely serial numbered and contains supplementary materials for the customer including a certificate of authenticity, a membership card, care instructions and a contact sticker for the car pillars in case of extensive damage to the vehicle. 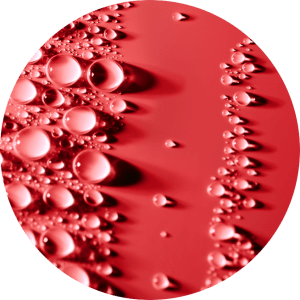 KISHO nano ceramic coatings are the absolute premium standard for vehicle paint, glass and wheel protection and require professional workshop facilities to apply correctly. 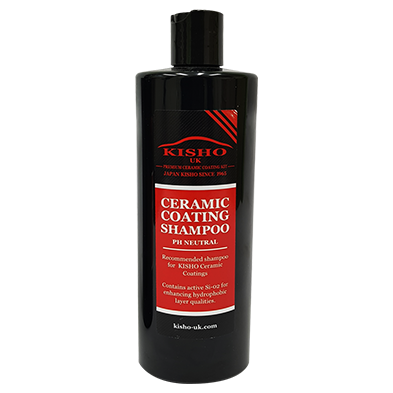 KISHO products must be applied in a regulated dust-free studio for optimum results.